At PET Imaging Institute of South Florida, our mission is to provide the best quality patient care possible. The combination of our expert onsite Radiologists/Medical Directors, state-of-the-art equipment for safety and reliability, fast turnaround on reports, a comfortable spa-like environment coupled with our highly-experienced and helpful staff come together to give you the highest quality PET/CT scan experience in the area. 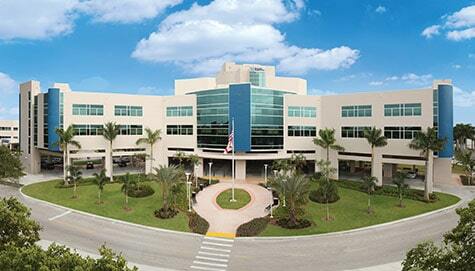 PET Imaging Institute of South Florida has locations in Fort Lauderdale, Hollywood, and Pembroke Pines. We offer the latest in PET/CT fusion scanning medical imaging services with the most experienced PET reading physicians in South Florida. For more information or to schedule an appointment you can call (954) 981-6668. With 20 years of celebrated local service in Broward County, PET Imaging Institute of South Florida is an experienced and local PET/CT scan provider with offices in Fort Lauderdale, Hollywood, and Pembroke Pines. We understand the needs of our patients and physicians better than anyone. We believe the greatest benefits of PET/CT are achieved when referring physicians and radiologists work together and interact to provide care based upon the unique and individual needs of each patient. Modern technology. Elevated service. Delivered locally. Our facilities are all centrally located and easily accessible. Free transportation within Broward to and from your appointment is always available. Call us today to obtain more information or to schedule your appointment. Our highly experienced and professional staff is dedicated to helping our patients and referring physicians obtain the best quality PET/CT scan experience available in South Florida.